Anyone who has been to this timeless 5-star hotel on the shores of Umhlanga beach will know that the Oyster Box is an opulent hotel with breath taking views and luxurious spoils. The Oyster Box offers various amenities that cater to all guests needs, one of which is a beautiful hotel gym located in the spa area. 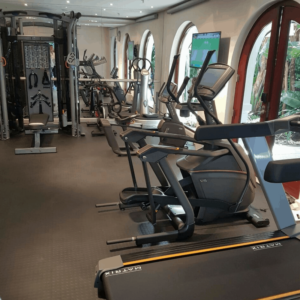 Matrix Fitness SA recently had the privilege of supplying brand new gym equipment to this facility to enable guests to train comfortably and in style. Product choice: The hotel gym needed a commercial treadmill, as treadmills are the most popular items in hotel gyms. The T50X was the ideal product, as it is a commercial treadmill with a 4 HP motor that can be used for long hours and is durable enough to last for years to come. The Recumbent and Upright bikes were chosen to provide a variety of options for hotel guests to cycle on and ensure that their preferences are met whilst on holiday. Technology: XIR consoles were selected for the Ascent Trainer, Upright and Recumbent bikes, because the consoles come standard with internet, wi-fi, Bluetooth, virtual active and sprint 8 programs. This enables guests to catch up on social media, listen to music or run through various cities on the virtual active setting, all whilst training at their gym. Aesthetics: While technology is an important factor to consider when selecting products for a hotel gym, aesthetics are equally important. Matrix products were selected for the hotel gym as the Matrix design offers sleek, but versatile gym equipment and it suits the premium look and feel of the hotel gym. 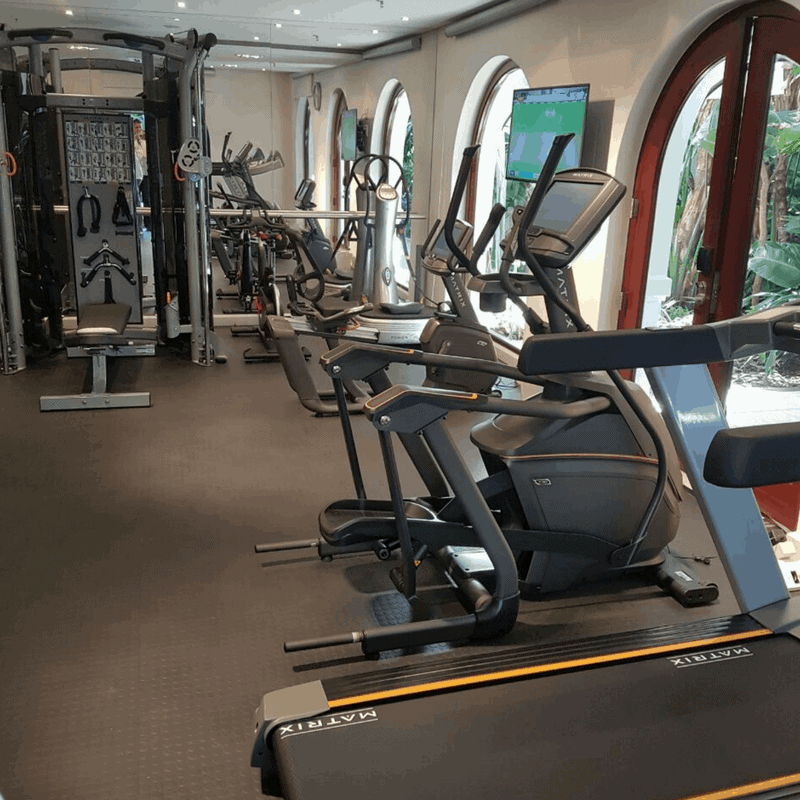 Matrix Fitness SA is proud to have been the premium supplier of gym equipment to this iconic hotel and trust that guests will enjoy training in front of the beautiful arched windows whilst enjoying the lovely views of the pond and lush green forest background.